Gynex capsules by virtue of powerful ingredients resolve host of problems like leucorrhoea, irregular periods and painful menstruation. Buy this herbal treatment for leucorrhea online in India and get rid of embarrassing problem of white discharge naturally. 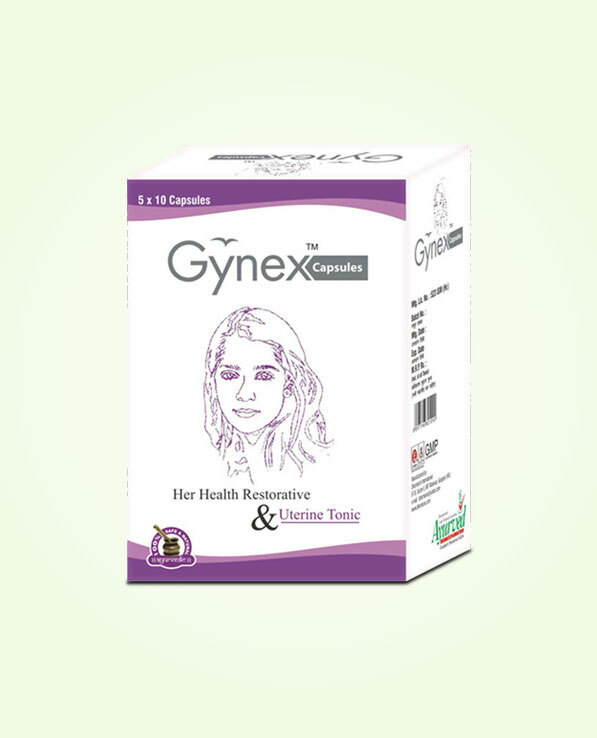 Gynex capsules are the best herbal treatment for leucorrhoea and white discharge and are also capable of resolving plenty of other problems related to female reproductive system. Women suffering with poor hormonal balance frequently face the problem of excessive white discharge. Discharge in female’s genital passage is compulsory as it keeps walls of passage moist and supple and also maintains healthy pH balance to keep infectious agents under control. When women face growth in infection causing germs and microorganisms or any alien substances or chemicals, the female genital passage secretes mucous in larger quantity to curb the invasion. It serves as a way out for these harmful microbes but in women suffering with hormonal problems this discharge occurs excessively and frequently. Gynex capsules possess pristine herbs which very successfully suppress this germ invasion and also restore the hormonal balance to give fast-acting herbal treatment for leucorrhoea or white discharge. Women due to poor hormonal balance and involuntary uterine contractions suffer with jumbled menses and irritating discomfort at the onset of periods or after having periods regularly. Some women also face heavy bleeding during periods or scanty periods due to poor health, disturbed hormonal balance and spasms in abdominal muscles. This herbal treatment for leucorrhoea delivers considerable relief to such women as well by regulating menstrual cycle and curbing excessive uterine contractions and muscle spasms. The herbal ingredients of Gynex capsules are also wonderful in curbing nutritional deficiencies and providing adequate nourishment which occurs due to excessive blood loss or poor metabolism. Thus, they are able to maintain sound health and optimum energy. Gynex capsules possess herbal ingredients like Ashwagandha which is an excellent hormonal balancer and energizer. It rejuvenates female’s reproductive system and improves its functions by promoting higher secretion of healthy hormones. Godanti Hadtal Bhasma is yet another powerful ingredient of herbal treatment for leucorrhoea which enhances immunity and prevents white discharge occurring due to infection and allergies. Ashoka, Lodhra and Mochras are other supportive herbs used in Gynex herbal treatment for leucorrhoea which strengthen and energize female reproductive system, keep it free of infections and also treat problems like dryness, excessive discharge and urinary disorders. Collectively, all these herbs address and cure the possible causes of the problem and offer most effective and fast-acting ayurvedic treatment for leucorrhoea or white discharge. Now, we are throwing some light on the suggested directions of use of Gynex capsules. Take 1 or 2 Gynex capsules twice a day with plain water or milk unfailingly for 3 to 4 months and achieve marvelous outcomes. Gynex capsules can be consumed by females of any age as due to their pure herbal nature they do not cast any side-effects. These ayurvedic pills for white discharge are extremely helpful for old aged women who are facing menopausal symptoms or passing through menopausal phase. Gynex natural capsules for leucorrhoea on regular use outstandingly relieve those distressing menopausal symptoms and provide considerable relief. This herbal treatment for leucorrhoea is also helpful in combating menstrual cramps along with abdominal pain and backache. Even the embarrassing condition of bad odor from female genitalia is also mitigated effectively by the consistent use of Gynex capsules. These herbal capsules for leucorrhoea have potent ingredients which improve uterine circulation. Almost all sort of urinary tract problems are alleviated and the overall health of the reproductive organ is enhanced manifold. Gynex capsules are way better than the allopathic medicines in terms of safety and reliability. Gynex herbal treatment for leucorrhoea does not cast any sort of side-effects or withdrawal effects as they are comprised of all-natural ingredients in their most unrefined form. Rigorous research done by herbal experts proves that there are not even trace amounts of chemical additives, binders or synthetic fillers present in them. Gynex ayurvedic remedies believe in not only giving temporary relief but in imparting long-lasting solution. Allopathic medicines on the other hand may offer quicker results but these results are not long-term as they only suppress the symptoms. Moreover, allopathic treatments make the users get addicted to them so that they keep on purchasing them forever not to forget the detrimental health hazards they are capable of causing. But, pure herbal pills like Gynex capsules go to the root cause and a woman can any time stop using them after having undergone complete treatment. They are non-addictive in nature and do not cast any pernicious withdrawal effects even after discontinuing the dosage abruptly. Excellent remedy to treat white discharge problem. I will definitely buy more products from this website! 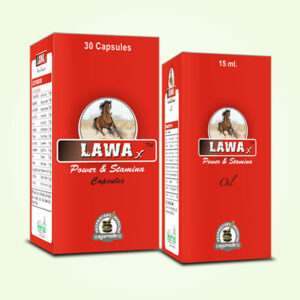 I ordered this product for my sister as she was suffering from leucorrhoea problem from past 1 year. Amazing product to cure discharge problem! Would highly recommend!